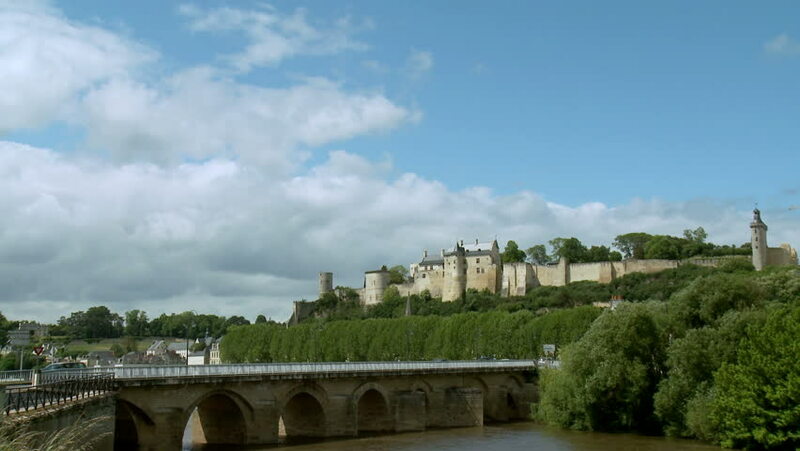 CHINON FRANCE - AUGUST 2009: Chateau de Chinon is a castle located on the bank of the Vienne river in Chinon, France. 4k00:06Beautiful blue sky with running clouds. Old abandoned chalk quarry. Formation of rain clouds. Time lapse video. 4k footage.